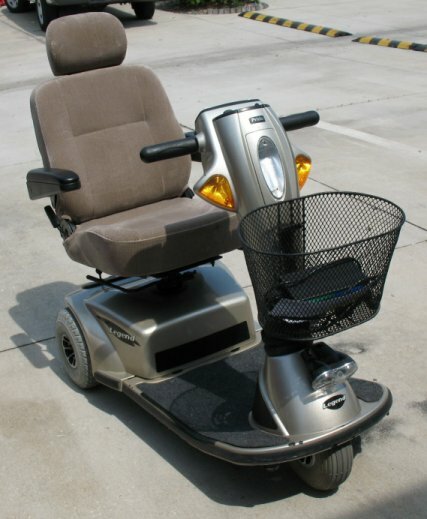 This used Pride Legend 3 wheel scooter is in good condition and has many great features such as a recessed headlight, full light kit including top and bottom front headlights, tail lights and directional signals, front basket and on-board charger. The Legend 3 wheel has a 350 lb. 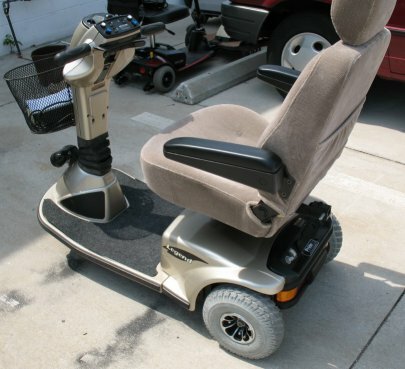 weight capacity and is designed to maneuver well indoors, as well as outdoors over rough terrain such as grass and gravel. 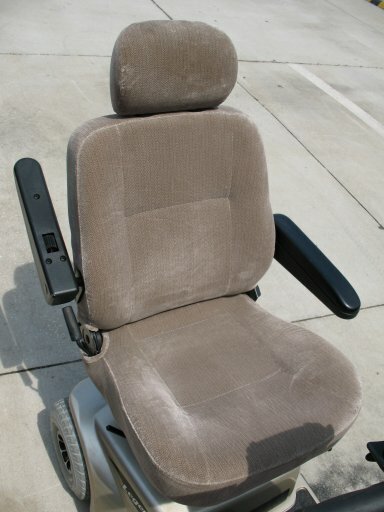 This used scooter also includes new batteries, high back, swivel, sliding seat with semi-recline feature and angle adjustable arm rests. For the best value in style and performance in a Pride scooter, the Legend is your choice! Call to order today! Easily accessible external circuit breaker. Font basket and rear bumper are standard. Weight w/o batteries 111 lbs. 3 year limited manufactures warranty.